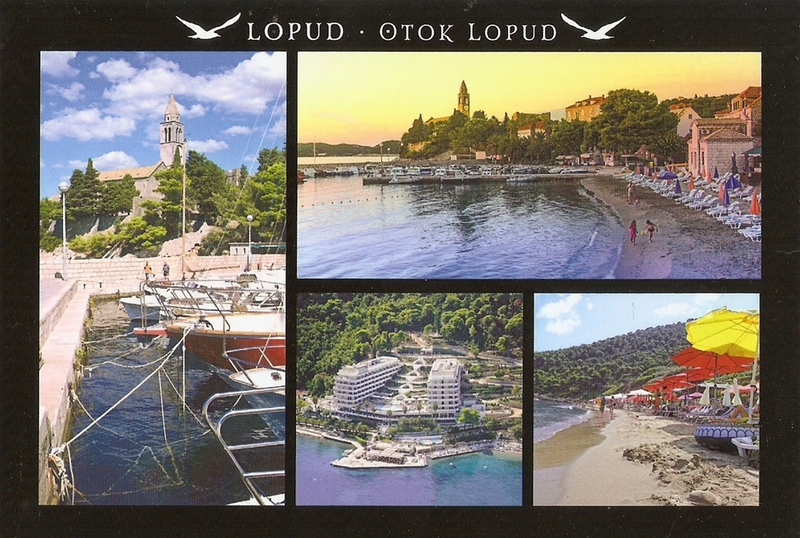 This is a postcard showing a small town Lopar where my hotel was. 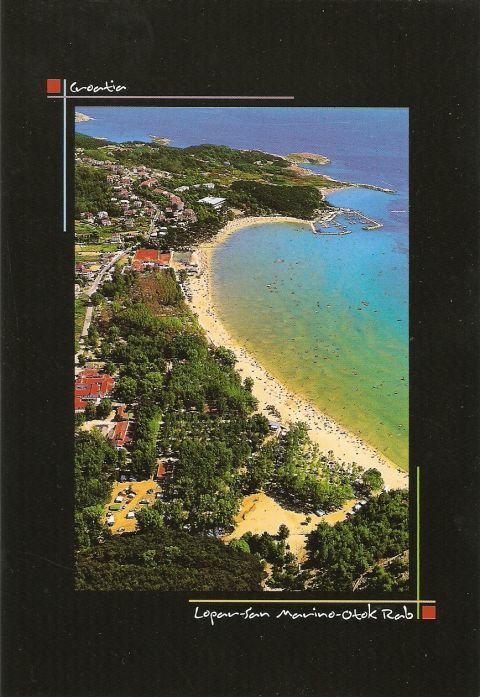 There were many nice sandy beaches everywhere! 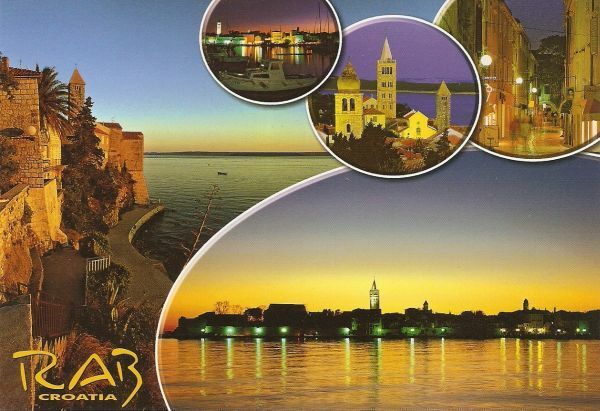 :) And the following ones show the biggest town on the island, also called Rab. 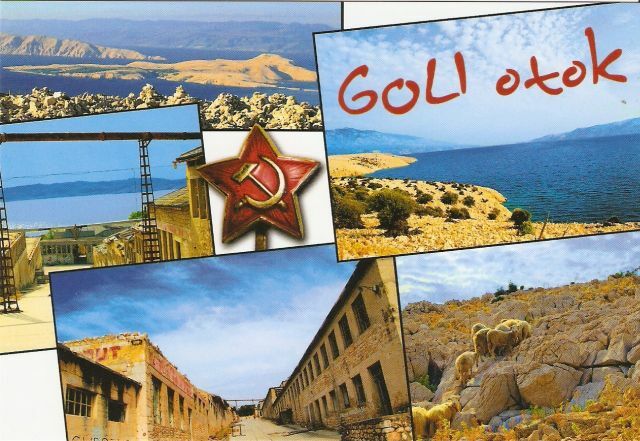 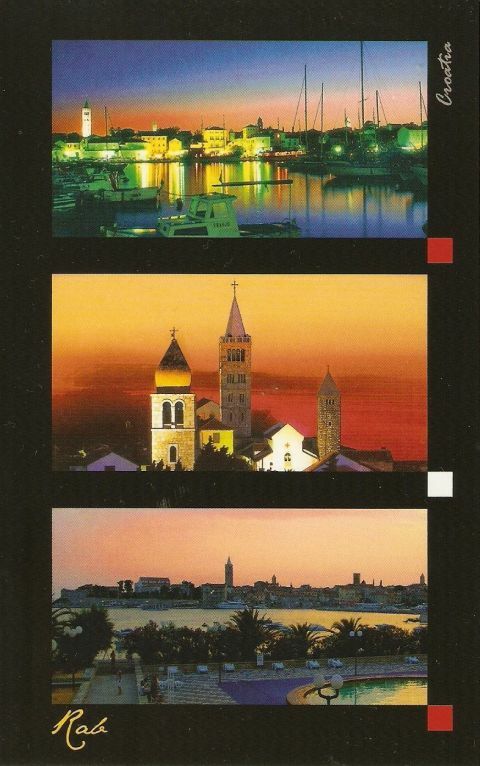 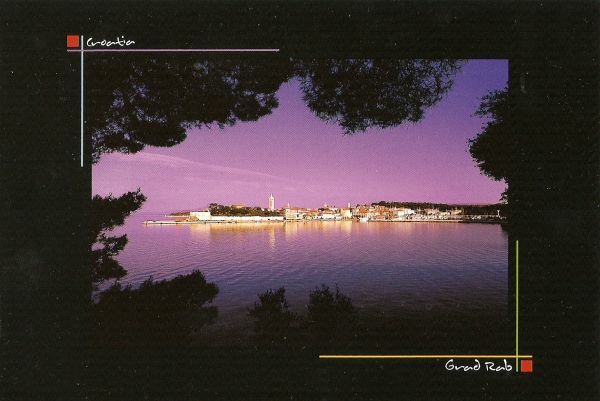 And the final postcard I picked up is showing Goli otok – or literally translated: “barren island”. 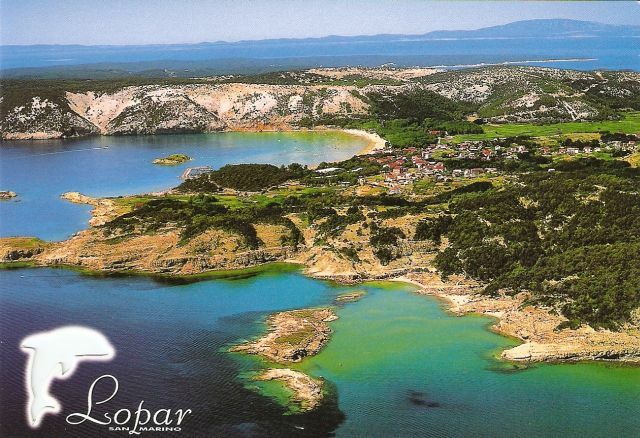 The structures you can see on the pictures are the remains of a prison that was builed on the island. 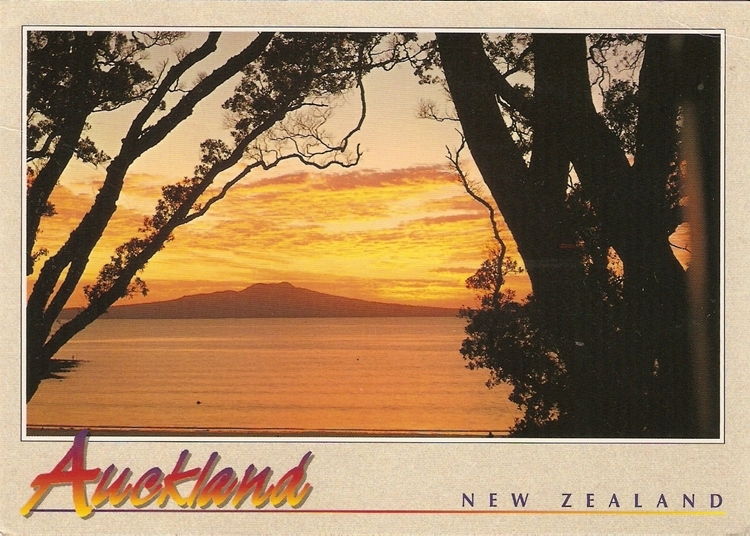 It’s abandoned now and no longer in use.